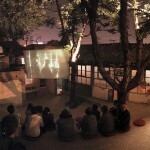 Ephemeral amphitheater installation in an old hotong community with ambiguity of private public spaces to provoke public activities. 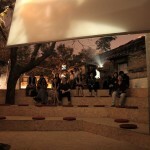 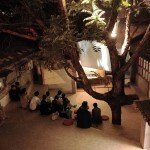 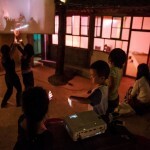 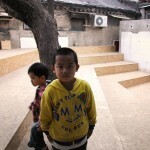 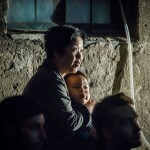 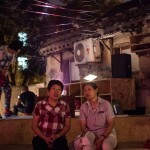 The BAITAcinema is an ephemeral activation of a small courtyard located in the historical Baitasi district in Beijing. 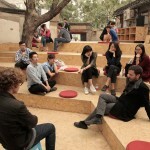 Realized for the Beijing Design Week 2016, the project is in fact the first step in a longer-term strategy that BaO architects is undertaking with the French Embassy in China to transform this courtyard into a permanent cultural space for collective and shared actions. 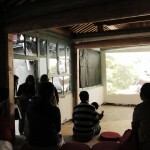 The core gesture of the project was the construction of a wooden amphitheater within the existing layout of the house. 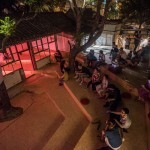 Invading both outdoor and indoor spaces and entirely transforming the visitor’s experience of the place, the installation purposely provokes its vernacular host and creates accidental encounters or spatial events between the new and the old. 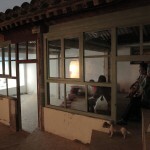 It opens up a new range of usages, postures and potentials in a space that was considered a straightforward traditional residential space. 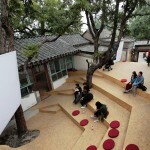 BaO’s architectural intervention focused on the desire and the possibility to create a spatial event that would enable a socio-political one. 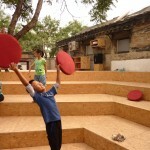 In essence, the amphitheater proposed to create a space that is traditionally associated with public life, community space, and civic gathering, within a setting that epitomizes domesticity and the intimacy of the Chinese family life. 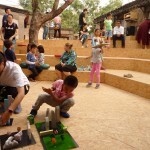 This cadavre exquis approach was a conscious architectural tactic to trigger an optimistic and progressive outlook on the opportunities of Beijing’s Hutongs’ renewal. 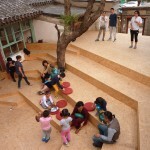 It is uninhibited in its design, celebrates the possibilities of smallness, and is bold in its attitude toward its historical setting. 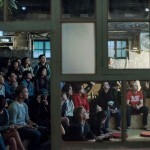 It tries to break away from conventional and somewhat too polite approaches to historical district regeneration that is unfortunately too often associated with cultural pride and nostalgia. 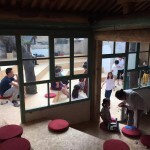 The project and its associated “open-door policy” created a ambiguity between private public space that was intended as a way to signal the coming creation of a public-oriented program in the heart of the neighborhood. 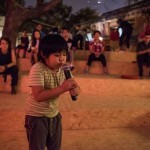 It was designed as an open cultural platform, a flexible artifact, an infrastructure that enables gatherings and celebrates collective actions. 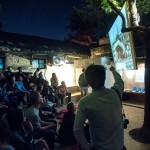 The ambition of the pop-up BAITAcinema was to create moments of encounter and shared pleasure where the hutongs community and the design week visitors alike can relax, watch a movie together, attend and participate in a variety of discussion on the city, assist to performances and artistic happenings, and participate in creative workshops. 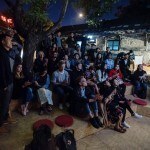 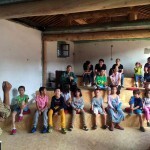 The BAITAcinema program ran successfully for 2 consecutive weeks with a screening program intermingling old Chinese movies, documentaries, silent movies, children cinema, lectures, talks, workshops, and a special Sino-French Environment Month documentaries selection. 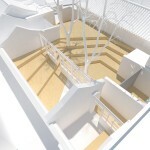 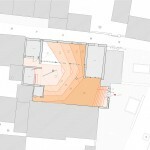 BaO architects, alongside the French Embassy, local authorities, and the local community, will work on the formulation of the long-term project for the courtyard during this winter with the intention to start construction in the spring 2017.